Since I own a Chinese Medicine clinic, it is of the utmost importance that I stay current on all health and wellness trends around the world. One of the ways that I do this is by visiting various spas during my travels. 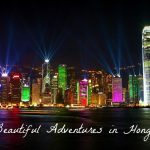 Thus, I was elated when the Grand Hyatt Hong Kong generously offered my husband and I their “Relaxing Couple Journey” package in their Plateau Spa during our stay. Located on the eleventh floor, the spa offers guests exactly what its name infers, elevation from the vibrant city. This award winning establishment was designed with two things in mind: tranquility and privacy, which are achieved with the combination of stunning architecture and gardens. We were both instantly relaxed when we arrived thanks to the peaceful atmosphere and visual enjoyment. What sets it apart from other spas is that included in the treatment experience is access to luxurious private rooms with ensuite bathrooms that are guaranteed to make you feel as though you are royalty. You are welcome to spend time in them before and after your treatments. Connected to our private sanctuary was the treatment room where we spent two blissful hours, first receiving deep tissue massages and then relaxing in our oversized jacuzzi. We found it nearly impossible to leave when our time had concluded. If you should find yourself in Hong Kong, make sure to leave time for an unforgettable treatment or two at the Plateau Spa. Your body, mind, and soul will be thanking me for a long time to come. This looks like the kind of spa that could change your life! I wouldn’t have ever left! Trust me it was so hard! Looks like a nice and expensive hotel. It was beautiful and worth every penny! Andi, you do the most fabulous things that make my soul go, “oooooh!” but my wallet scream, “NO!” haha. This looks fabulous – I’m curious about the jet lag bath salts in one of our photos! God knows I need some of them! Trust me, I know…I couldn’t really afford the things that I do either haha! Think of it maybe as travel inspiration? 😉 The jetlag salts were awesome. We did our package the day before we flew home (24 hours of traveling) and I swear it helped! What a gorgeous spa wow!!!! WOW I would love a treatment there! Hi Andi, thanks for this great spa tip. Will check it out next time my husband and I visit HK. Looks heavenly and sounds much better than the one we tried at our hotel at W Hotel HongKong. Nice photos, too. Seriously, how DID you drag yourselves out of there?! Love the mood of the pics. I’ve never even thought to take photos inside a spa — and I’ve been to some good ones. As always, I learn so much from you! It was IMPOSSIBLE! I literally felt my heart breaking haha. You need to do spa posts!!!!! You continually amazing me with the places you go to! Haha I like to amaze! Andi, what a life you have! Lovely, I hope to visit there one day! As soon as I read this post I got the biggest smile on my face! I am laughing at you justifying luxury spa treatments by claiming you just need to be up on health and wellness 🙂 I need to figure out a way to tie massages to my line of work so I can claim them as a business expense! I could spend days there! Nice shots of a beautiful place! I am obsessed with visiting spas! What a gorgeous spa, looks like the perfect place to spend the day. No, I wish! It’s a dream destination for me!! !